« Halloween Man Enters the Monsterverse! IDW Publishing is proud to announce Deadworld the renowned zombie classic will come back to life this December. 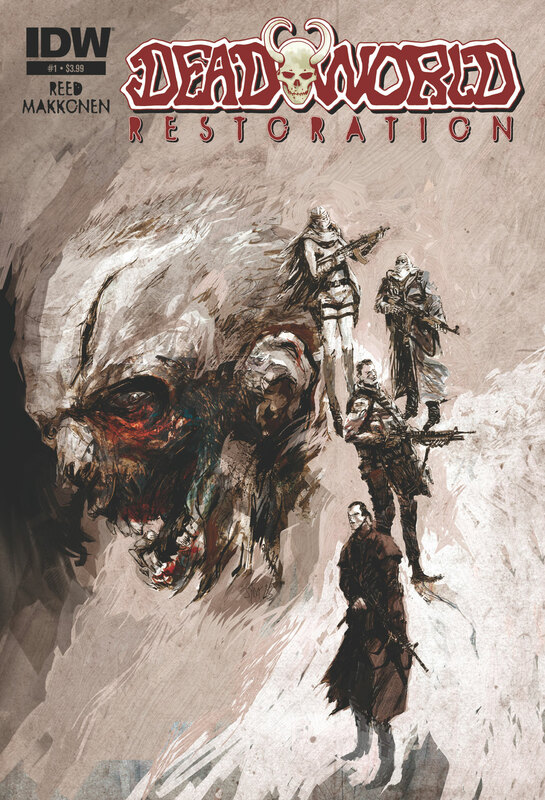 Gary Reed and Sami Makkonen, the same creative team that brought us Deadworld: War of the Dead, continue where they last left off and push the story into even darker territory with Deadworld: Restoration. The lepers have been slaughtered, the people who escaped the breeder pits head for the safety of New Washington, and now the zombies are under the control of Donna, the half-human/half-zombie hybrid. With King Zombie dead, Donna is the leader of the zombies…or is she? Gary Reed is the one of the original writers of the Deadworld series and long time contributor as well as the co-created and writer of the Harvey Award nominee for Best New Series, Baker Street. Sami Makkonen of Eisner Award nominated series Hatter M fame has won the prestigious Sarjis Award in Finland for Best Illustrator and is the artist for IDW’s recently released Ryse: Son of Damocles digital interactive graphic novel. This entry was posted in Columns and tagged baker street, deadworld, gary reed, hatter m, idw, sami makkonen, THE WALKING DEAD, zombie comics. Bookmark the permalink. Follow any comments here with the RSS feed for this post. Post a comment or leave a trackback: Trackback URL.